An impressive entry, over 300 players are currently competing in the Singapore National Championships which commenced on Thursday 4th January and will conclude on Sunday 14th January. First organized in the 1930s, the tournament is steeped in history and tradition. The full gambit of seven events is being staged: Men’s Team, Women’s Team, Men’s Singles, Women’s Singles, Men’s Doubles, Women’s Doubles and Mixed Doubles. Notably Gao Ning, Pang Xuejie, Yu Mengyu, Lin Ye and Yee Herng Hwee, all established members of the Singapore Team, are competing. On Sunday 7th January, the Men’s Team and Women’s Team events concluded. The Men’s Team title was won by Sunsports Team 6 (Song Min Hong, Ethan Poh Shao Feng, Gerald Yu Zong Jun, Tay Jit Kiat) with Safra White (Gao Ning, Maxxe Tay, Lucas Tan, Daniel Wong Hong Wei) in runners up spot. Third place was shared between Safra Green (Pang Xue Jie, Beh Kun Ting, Dominic Koh Song Jun, Goh Yi Long) and Singapore Sports School (Pang Yew En Koen, Wong Yan Kai Andy, Chong Xin Le Nicholas, Zhai Yu). 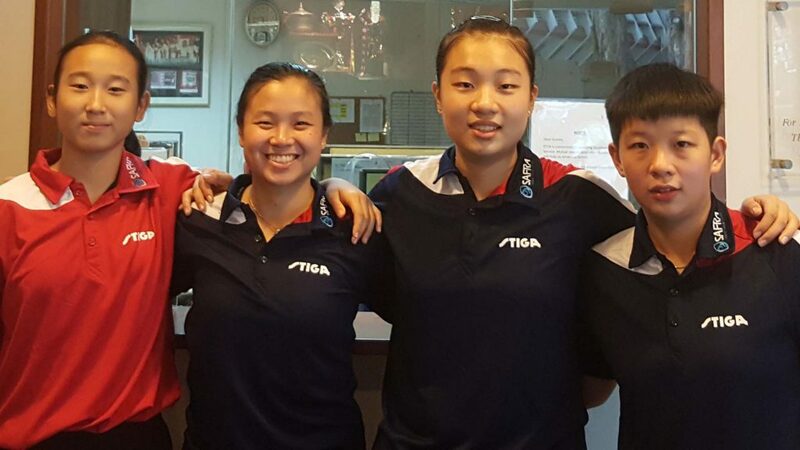 Meanwhile, in the Women’s Team event Safra ‘A’ (Zeng Jian, Zhou Jingyi, Zhang Wanling, Eunice Lim Zoe) emerged as the victors with second position being the lot of Safra Red (Tan En Hui, Lu Hua Yu, Ang Wan Qi, Pearlyn Koh Kai Xin). The bronze medal positions finished in the hands of Sunsports Team13 (Wong Xinru, Zermaine Nicole Lew, Dorothea Ban Yinyi, Goi Rui Xuan) and NTU Hall 6 Team B (Ser Lin Qian, Lynel Chiang, Chan Lu Wen, Janissa Cheng). Presentations will be held on Sunday 14th January, Mr Alex Yam, Marsiling-Yew Tee GRC and Deputy President of the Singapore Table Tennis Association will be the Guest of Honour.